"Danish, English, German & French text (in side-by-side columns). Tight, bright, clean and square but has chipping along edge of front cover. 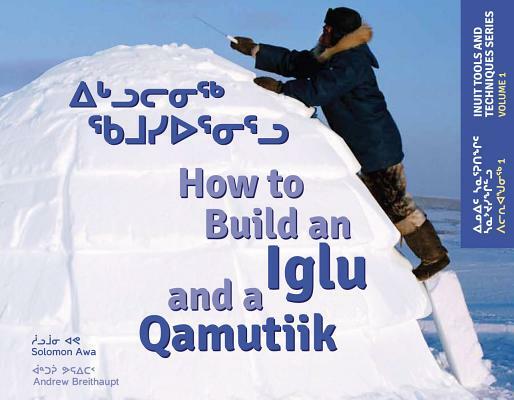 80 pages with 55 black and white photos"
Author Name: "Barford, Jorgen H. (Frihedsmuseet, photos)"
"How to Build an Iglu and a Qumutiik (Inuit Tools and Techniques Series, Volume 1)"
By: "Awa, Solomon (Andrew Breithaupt, illus.)" "Rainhouse and Ocean: Speeches for the Papago Year (American Tribal religions, Volume Four)"
By: "Underhill, Bahr, Lopez, Pancho, Lopez"